This week sees the launch of Mulberry's latest addition to their fashion arsenal...The Del Rey bag. Named after the singer, Lana Del Rey, the bag harks back to the glamour of a bygone era, a trademark aspect of the singer's look. Mulberry have taken these aspects and have created a classic, timeless style that embodies the heritage of the brand but with a young fresh lease of life. Each Del Rey bag is made from 26 pieces of hand cut Italian leather and 10 separate components. 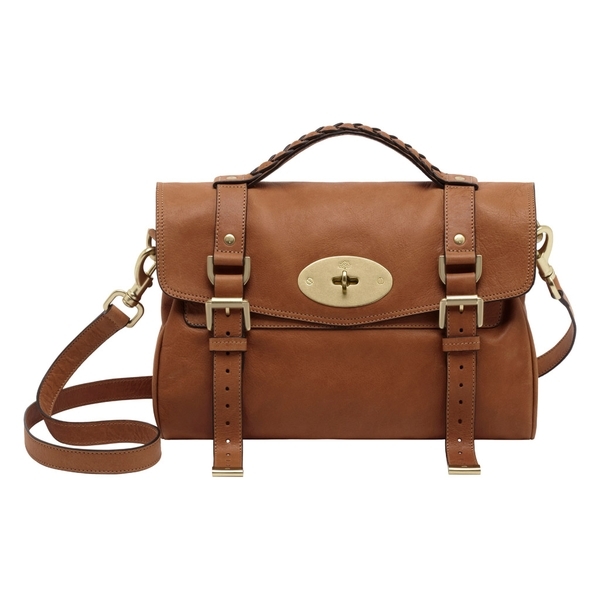 Iconic Mulberry features are all well and present on the bag with the signature tree stamped postman's lock reminding women that they are buying into a 41 year strong British Heritage tradition. With all the excitement surrounding the launch, it is clear to me that we are on the brink of a revolution...The Return of The It Bag. To celebrate people's renewed interest in arm candy, we will look back at the history of the It Bag. The term 'It Bag' was coined during the 1990's as a result of the explosive growth in handbag sales in the fashion industry. However, many of the It bags we know of today were created well before the arrival of the much used phrase. Chanel's quilted leather 2.55 bag was created in 1955, Hermes created the design for the Kelly bag in 1935 and in 1984, Hermes created the Birkin bag which went on to become a staple It bag during the 1990's-2000's. These bags have grown to iconic status allowing them to be added to the list of modern day It bags, whose names roll off your tongue as if they are names of old friends. This bag takes its name from the British television presenter, Alexa Chung, after the Creative Director of Mulberry, Emma Hill spotted Alexa carrying an Elkington (Mulberry's briefcase for men) whilst flicking through a magazine. The bag embodies the low key, coolest girl in high school aesthetic whilst keeping undertones of masculine style. 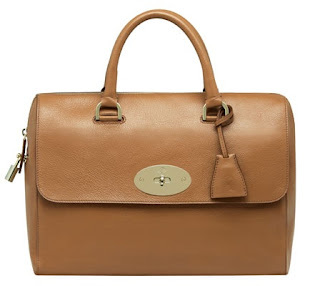 After its release in 2010, the Alexa bag was responsible for a 79% increase in profits across the 90 international Mulberry stores, thus elevating it to the coveted status of 'It Bag'. The Birkin bag has grown to become a world famous bag, almost as famous as the guest list that goes with the bag, which Hermes try their hardest not to let the waiting time exceed five years. Originally named 'Haut a Courroies' in 1900, the bag was designed to carry a saddle but one chance meeting between Jane Birkin and Jean-Louis Dumas the CEO of Hermes in 1981 led to the bag being renamed the 'Birkin' bag. The story goes that Birkin was searching for something in her woven bag when it fell apart, leaving its contents to scatter across the floor. Jean-Louis Dumas helped Jane Birkin to collect everything and the pair became life long friends, their friendship cemented together by a handbag. Each Birkin bag requires a single flawless skin which can take up to six months to two years to source. If there is a drought in New Zealand or any other freak weather change then the availability of Ostrich decreases dramatically. The construction of a Birkin bag can take 72 hours-14 days to complete, reducing output to only 2-3 bags a week. This classic little number, named simply by a list of numbers is one of the most iconic It bags in the world. 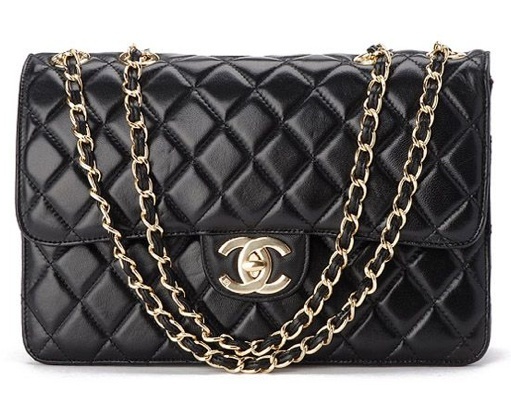 Created in February 1955 (hence the name 2.55) this Chanel bag was designed out of frustration. Coco Chanel became tired of carrying things in her arms and decided to design a handbag to free up her arms. Looking closely at the bag, it is possible to notice many parallels to Chanel's life...The burgundy lining of the bag is the same colour as the uniforms at the convent where she grew up, the bag has a quilted, diamond pattern on the exterior which has been said to reflect the quilted riding jackets of jockeys, the cushions in the Chanel studio and the stained glass windows of the abbey at Aubazine. All these little details make the bag a quirky but glamorous accessory and it was this bag that revolutionised the way women wore their bags. Before the creation of the 2.55, upper class women would never be see wearing their bag on their shoulder but Chanel changed all of these conventions by adding two, thin gold chains to her bag. Since then, women have never looked back. It bags have played a large part of our lives over the past decade with British women spending £350 million a year on designer handbags according to a recent survey. Although grouped under the same umbrella, modern It bags are different species from their heirloom classics adding a sense of life and vitality to the phrase. Which It bag is your favourite?